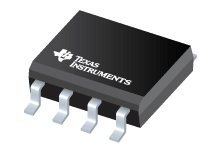 Ever-increasing demands are being placed on instrumentation amplifier (IA) performance. When standard IAs can not deliver the required performance, consider this enhanced version. Dramatic performance improvements can be achieved by operating the input amplifiers of a classical three-op-amp IA from common-mode driven sub-regulated power supplies. This application report presents a collection of analog circuits that may be useful in electro-optic applications such as optical networking. The circuits are Avalanche Photodiode Bias Supply 1; Linear TEC Driver-1, -2, and -3; Laser Diode Driver-1 and -2; and Temperature Under- and Over-range Sensing with a Window Comparator.